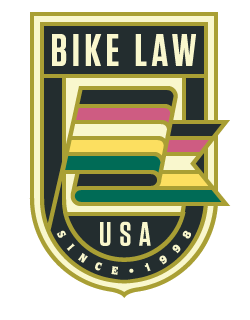 As reported in the past, on June 4, 2014, the Michigan House of Representatives passed a bill, intended to enhance awareness of bicycles and motorcycles on Michigan’s roads. House Bill 5438, commonly referred to as “Nathan’s Law“, after Nathan Bower, who was killed in an automobile-motorcycle crash, would require all driver training classes to include training to enhance motorcycle and bicycle awareness. The Bill had enormous popularity in the House, where it passed unanimously and was co-sponsored by 90 out of 110 State Representatives. On June 5, 2014, the Bill was referred to the Michigan Senate Judiciary Committee. However, five days later, on June 10, 2014, it was reassigned to the Senate Transportation Committee. Senator Tom Casperson (Alger, Baraga, Delta, Dickinson, Gogebic, Houghton, Iron, Keweenaw, Luce, Marquette, Menominee, Ontonagon, and Schoolcraft Counties), is the Chair of the Senate Transportation Committee. Senator Casperson has asked Senate Majority Leader Randy Richardville (Monroe County and portions of Washtenaw County and Jackson County), to discharge the Bill from the Senate Transportation Committee to the floor of the Senate for a vote. Please contact Senator Richardville’s office at (517) 373-3543 or SenRRichardville@senate.michigan.gov, and let him know that you support this legislation. Additionally, please “like” Nathan’s Law on Facebook.